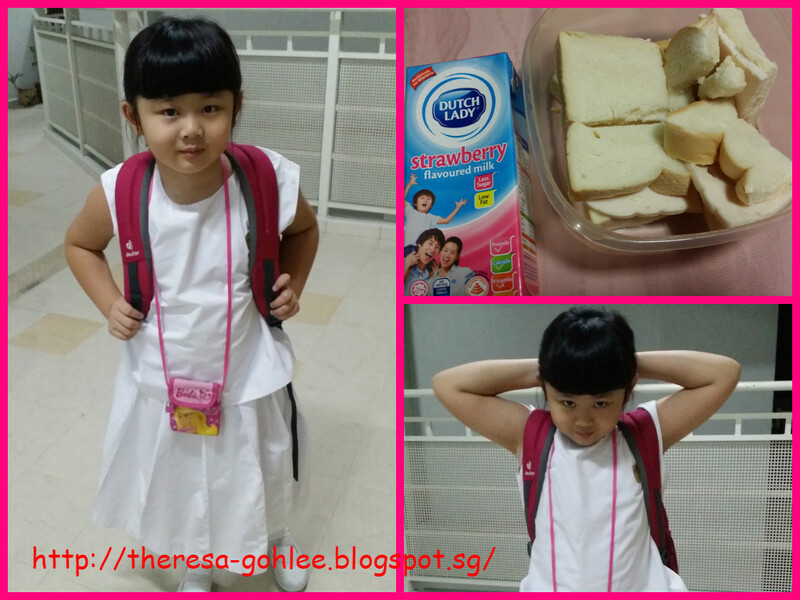 Last day to be SAHM and as usual we took bus and MRT and little gal say she want sandwich for recess so I made it for her and she also pack one packet of milk to go with it. After sending her I need to rush back cos my part time helper is coming today cannot nap cos she is doing housework so watching tv to pass my time before fetching her. We went back home to change and headed to Marina Square as we need to go Pan Pac to meet a friend. So we settle our lunch at Hans, we shared a plate of horfun cos we will be feasting with my evil sistas at Shabu Sai later. At the same time we passed by Iora I went in to get a dress for my Sis in law's birthday which falls on 17 Jan. Really did alot of things! Reached East Point at 6+pm and we just headed in to Shabu Sai located at level 3. 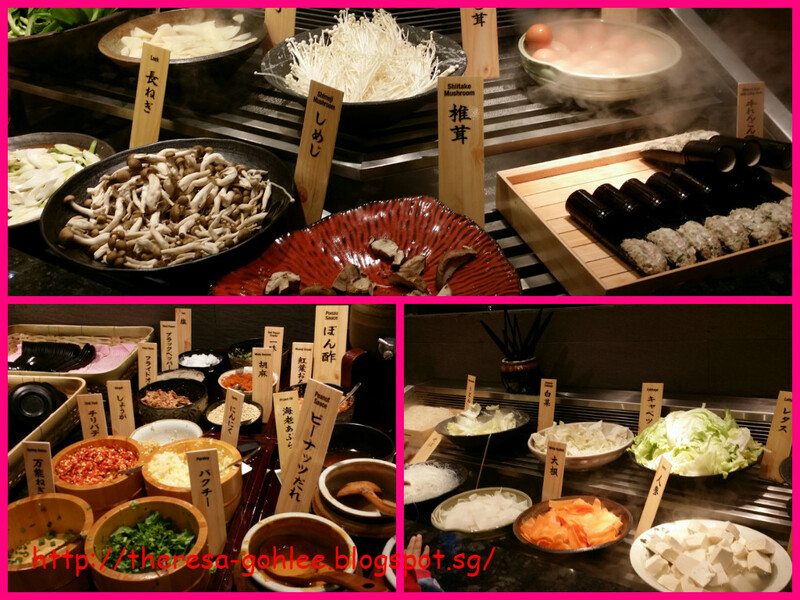 We choose 4 soup base - Sukiyaki, Seafood, Tom Yum & Tonkotsu Shouyu. One pot is big .... one pot is small ... so the small pot actually overflow and all the soup is mixed up and I cannot imagine putting the ingredients in. The selection on the shelf is quite disappointing nothing much on it and the only minced meat found is beef and I dun eat. The rest are all veggies and balls (only prawn and fishball), crab stick only bring out when we have our 2nd round. Replenish of stocks really slow and pork, chicken and beef will only served upon request. Visiting their web we saw cooked food, sushi available unfortunately is no where to be seen and I will not eat rice when having shabu shabu end up I have to go get one bowl of rice to ease my hunger. I will not recommend my friends to go cos the moment you see the selection you will feel bored! Disappointed dinner we had!